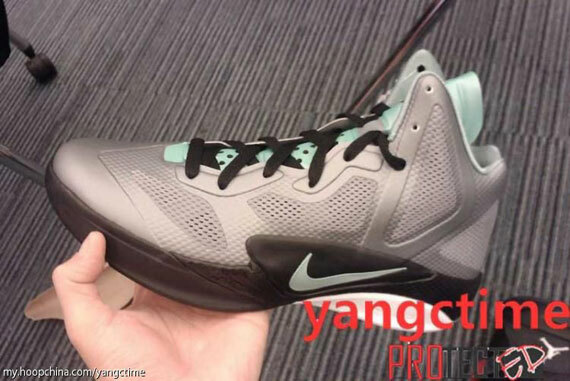 We're treated to an early look at an upcoming colorway of the Hyperfuse 2011, set for release this holiday season. After debuting earlier this month, the Nike Zoom Hyperfuse will continue to release in a variety of colors throughout the holiday season and into 2012. One of those many clean looks set to release is this grey-based pair that recently surfaced on the web. Grey works most of their Hyperfuse-constructed upper, with mint taking care of the Swoosh, lining and tongue. Additionally, we see black contrasting on the laces and midsole. This all new colorway of the Nike Zoom Hyperfuse 2011 is set to release this holiday season at select Nike Basketball retailers.